“Over the past decade the number of pupils with special educational needs (SEN) in private schools has almost trebled, with an extra 52,594 taking places, according to a recent report by the Bow Group. Some time ago I was asked to write a comment on the exodus of pupils with SEN from the state to the private sector. Before that request, I confess, I had not given this matter much thought. I was aware of many parents sharing concerns about their child’s stressful transition to secondary education, and about several local families who were considering private education for their sons and daughters, driven by a fear that if they did not act soon, they would not be in a position to choose, such were the troubles and problems they faced. My own work and professional concerns more frequently lie with those young people whose lives are blighted by the double-edged sword of difficulty in addition to often deep-rooted social deprivation and lack of opportunity. I have raised my concerns this past 24 months with the Dept for Education and with Sarah Teather in particular, about the escalation of additoinally resourced provision, units, learning support centres, call them what you will, that house increasingly small numbers of pupils typically excluded from local mainstream schools. There lies a whole pandora’s box of trouble, and is a matter that disturbs me greatly. Many children and young people with special educational needs have been dealt a debilitating blow by both our previous and current Government and its educational policies. The inclusion agenda has been blindly adhered to, regardless of consequence, casualties or cost. There are many children and young people whose lives have been blighted by the inclusion agenda, which promises so much, but delivers so little. Discussions about education placement have been marginalized as issues of provision have come to the fore, so much so that in many local authorities, real and urgent debate about the future of young people excluded from mainstream schools is taken out of the public domain. Mainstream secondary schools too frequently over-promise and under-deliver, when it comes to the reality of provision following primary-secondary transition. Parents are persuaded that the early difficulties their child experiences are settling in problems, transitory matters that will soon resolve themselves, but it is possible to anticipate that concerns on-going at six weeks after transfer, are likely to be more pressing concerns and difficulties, some six months later. Parents who have been swayed by the hard-sell of mainstream secondary provision, are frequently disillusioned and disappointed by the lack of care and apparent concern of those professionals working in the school’s Inclusion or Special Needs Department for their child’s needs. The needs of the young person that were formerly prioritised by the primary school, are now sidelined by the secondary as other more urgent and challenging needs absorb all resources, time and personnel. What our good private schools do well, is recognize the need that all parents have, for time to discuss their child, time to discuss the petty and minor concerns as well as those more significant matters, time to reflect on progress and celebrate success. It is this unburdening the load of parental responsibility, this joint sharing of concerns, that reassures and calms the parent who has reached a point beyond which, only trouble lies. It is about giving time and attention to the needs of each and every individual. Our state education fares poorly in comparision, although our best performing schools recognize that need to understand and know each and every child and each and every family, that make up its whole. What parent wouldn’t be swayed, where a place in a private school is within reach, by the Headteacher who regards their child as an asset, as a cherished and valued member of the school community, over the Headteacher whose only contact with the parent is to issue warnings, to formalize parental contracts, to exert pressure… It sounds stark, unreal almost, a falsehood, but that is the reality some parents face – a visit here that reassures, a meeting there that terrifies and causes such a rush of anguish and concern. The transition of a child from one school to another, house moves and relocations aside, almost invariably comes about after some crisis or breakdown in relationships, communications, confidence and trust. 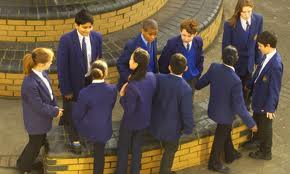 In my role as SEN Consultant, I have been invited to attend many multi-professional meetings, where the final outcome is a decision by the school to exclude a young person, to pass on the burden of responsibility to another, to exert such onerous conditions that the likelihood of a return to the same setting, is marginal. As a parent, as an active member of my local community, I am aware of many parents who have felt a great sense of injustice, who have felt robbed of choice, compelled to accept ever more restrictive conditions, as their child’s problems at school escalate and the school closes its ranks and pulls up the drawbridge. Both sides and courses of action, are understandable. It is this choice that parents seem to be making in their droves, where it is even remotely possible, to move a child from state funded to private education, that intrigues. Aside the Bow Group, I wonder how much more attention is given to this great and current matter? Private schools that appreciate their true value and appeal to parents of children with special needs, may be in great demand as the exodus of children with special needs from the maintained to private sector is in its infancy. The reform of our special needs system and the vast sweeping changes in our educational landscape may come far too late to restore hope to many parents who remain fearful for the future, and fearful for their children’s prospects of making a successful transition to adulthood and independence. What parent, after all, does not want their child to have friends, to be a part of a community, to feel valued and wanted? What should be the birthright of us all, presents as an elusive dream to some. My heart goes out to those young people whose difficulties render friendships problematic, whose learning needs isolate them from the social and academic lives of their peers, who struggle to get by in an often uncompromising environment. I applaud the efforts of those school who take time to get to know not only the students in their care, but also their families, to really know and understand what is going on in that young person’s life. 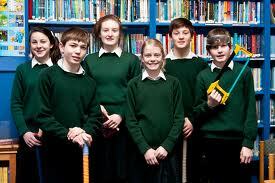 Private or state education – excellence comes in many forms. It is about who strives to make a difference.